With the lead generation techniques which keep emerging in the corporate world, companies, businesses and organizations across the globe are using new and improved techniques for their promotion and to increase their sales. Businesses tend to try their hand at new strategies to find out which one works best to increase the profit and revenue which is being generated. The importance of digital channels for businesses in today’s day and age cannot be ignored. Businesses and companies throughout the world are increasingly making use of new and improved digital channels for lead generation and marketing with the intention of promoting a product or service so that potential customers are convinced about purchasing what was being promoted. While digital channels do come in handy for most businesses, it is often seen that customers are confused due to the amount of information that is available–online and otherwise—making it extremely difficult for a business to come out on top. This is where Woveon comes into the picture. One of the leading customer service platforms, Woveon focuses on everything that’s important to retain customers and keep them coming back for more. The platform helps prioritize inquiries which are received from customers, along with identifying those customers who are valuable and likely to be retained and come back for future transactions. Since all businesses and companies throughout the world are also focusing on personalization these days, the platform can be used to personalize messages and responses for customers to ensure that they remain loyal. While most companies in Australia and throughout the world resort to manual trial and error techniques to target the right audiences and markets, Woveon takes things a notch further. Using advanced programs for machine learning and artificial intelligence, Woveon is guaranteed to make your lead generation strategy successful by identifying customers who are valuable. This feature does not only allow you to leverage on the latest breakthroughs in the world of information technology for your advantage but also eases the lead generation process to a great extent. Don’t like the way things have been going for your business? Think your business has more potential? Need to revamp a few lead generation processes and activities to boost sales? Woveon has got you covered. As one of the most elaborate and comprehensive tools, Woveon allows you to tweak your lead generation process as much as you like. This means that whether you are interested in modifying things a bit to make them more suited to the requirements of the business, or even if you wish to customize a process or two according to your own liking, Woveon allows it all! Woveon is not only extremely easy to use, but it also offers a centralized solution to ensure that you always have access to a holistic view of your processes and can see how well your lead generation strategy is performing. The tool, therefore, allows users to create and manage several different customer channels including social media and use them effectively to boost profits. Every business owner knows the importance of prioritization. As harsh as it may sound, the fact of the matter is that no two customers are the same, and not all customer requests are prioritized the same way. More often than not, companies and businesses prioritize the inquiries, responses, and requests based on how important or relevant they are. With Woveon, you, too, can prioritize based on your own metrics and factors and ensure that you always provide your customers with service which they keep coming back for. Engaging with customers—both current and potential ones—is something that cannot be overemphasized. With up to seventy-nine percent of Australians being active on social media, it only makes sense for customer engagement to be a major part of all lead generation strategies. Through social listening, Woveon cannot only identify which customers are valuable but also use analytics to provide accurate information regarding customer engagement. Another great benefit of the machine learning feature of Woveon is that it can be used in lead generation strategies to ensure that customers are being provided with personalized content based on their preferences and at times when they are likely to be active. Gone are the days when you needed scores of customer representatives to address questions and queries of your customers only to find out that they are unhappy with the customer service being provided. With Woveon, you can reach out to your consumers without a hassle and build a promising customer base. The features of the tool do not only make your lead generation strategies more efficient by identifying valuable customers beforehand, but the tool also allows you to boost your online presence and find new customers with ease. 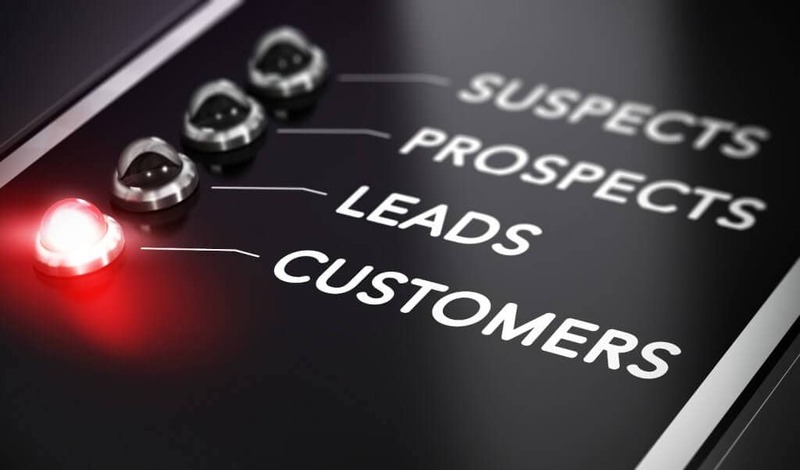 Use these seven tips and tricks for your next lead generation strategy and boost your sales like never before!